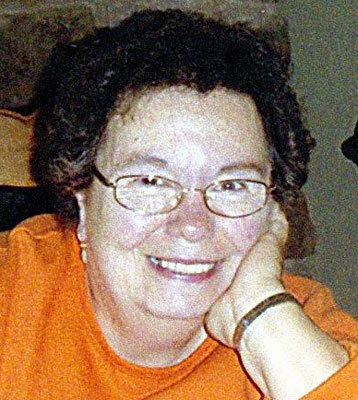 GIRARD - Leola A. Allen, 70, passed away early Saturday evening, May 16, 2015, at St. Elizabeth Health Center in Youngstown. Leola was born July 6, 1944, in Clarksburg, W.Va., a daughter of the late Arlis and Virginia Anderson Hoover, and came to this area with her family in 1955. She was a 1963 graduate of East High School and she graduated from Youngstown University with a bachelors degree in accounting. Leola worked for 35 years in the offices of Penn Ohio Towel Supply as a keypunch operator, and then worked for 11 years for Mashorda County Gardens as a secretary. She was a member of the Summit Assembly of God. Leola enjoyed cross-stitching, cooking, crossword puzzles, and bowling. Most of all, she thoroughly enjoyed the time she spent with her family and friends. She leaves her companion of the past 20 years, Nick DiMartino of Girard; Nick’s children, Victoria DiMartino, Dominic Mashorda, Mario DiMartino, and Augustine DiMartino, all of Canfield; four brothers, William (Jane) Hoover of Hubbard, James (Vera) Hoover of Cape Coral, Fla., Robert Hoover of Niles, and David (Brenda) Hoover of West Middlesex, Pa.; three sisters, Nancy MacDonald (companion Gary) of Canfield, Wilma (Mike) Yonosik of Girard, and Margaret (Duke) Hopkinson of Girard; and numerous nieces and nephews. Her husband, James Allen, whom she married Jan. 1, 1964, passed away in 1993. A brother, John Hoover, is also deceased. Family and friends may call from 4 to 7 p.m. on Wednesday, May 20, at Kinnick Funeral Home, 477 N. Meridian Rd., Youngstown. Family and friends may also call from 10 to 11 a.m. on Thursday, May 21, at the funeral home, where funeral services will take place at 11 a.m.
Interment will follow at Green Haven Memorial Gardens. Visit kinnickfuneralhome.com to view this obituary and to send condolences online to Leola’s family. Please share your memories of Leola.